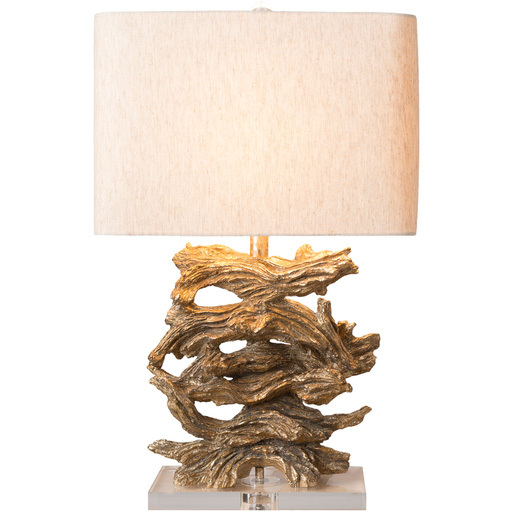 The Ballard Table Lamp features striking layers of driftwood that forms a textured style in such a natural way. 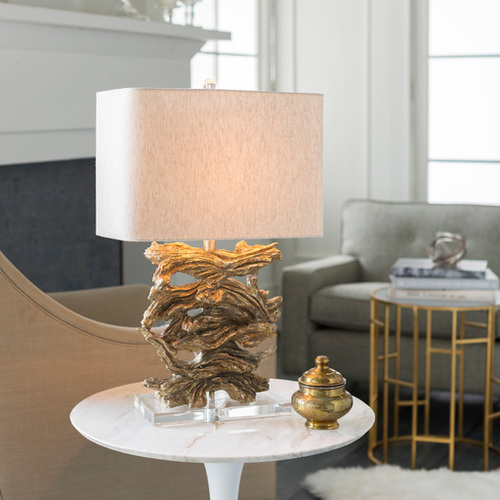 Takes one 100 max watt bulb (not included). Shade(Outside): Linen; Pantone TPX: Ivory 13-0000. Shade Top Dimension: 16 x 9"
Shade Bottom Dimension: 16 x 9"